Do You Actually Need an iPad? It's very easy to want an iPad, but for some of us, it's hard to justify spending the money unless we feel like we absolutely need an iPad. This is the quintessential first-world problem. Obviously, no one actually needs an iPad, but its safe to say that we need some type of computing device if we are going to take part in a digital society. So the question becomes: Is the iPad that computing device? The iPad has come a long way since it was introduced in 2010. Remember netbooks? The iPad was called the netbook killer. Now, many people couldn't even tell you what a netbook was. The first iPad has just 256 MB of RAM memory dedicated to running applications. That is 1/16th of the amount of RAM included with the 12.9-inch iPad Pro. And in terms of pure processing speed, the newest iPad is over 30 times faster than the original iPad, even outpacing many laptops you'll find on the shelves of your local electronics store. The first thing to look at isn't whether or not you need an iPad, it's whether or not you need your laptop. Or, more accurately, do you absolutely need a Windows-based PC or a Mac? The iPad can do almost any common task such as check email, browse the web, keep up with Facebook, place video calls with friends or family, balance a checkbook use a spreadsheet, create and print Word documents, play games, watch movies, stream music, make music, etc. So do you actually need Windows or Mac OS on your mobile device? There are certainly tasks that an iPad simply can't perform on its own. For example, you cannot develop those cool applications for the iPad on the iPad. For that, you'll need a Mac. So in evaluating whether or not you need a laptop, you have to evaluate whether or not you need a piece of software that only runs on MacOS or Windows. This may be a piece of proprietary software you use for work. If you don't need a specific piece of software, it is easy to choose an iPad. It's more portable, and when you compare price, build quality and longevity, it is more affordable. It is also easier to use, easier to troubleshoot and much easier to keep viruses and malware at bay. You can use it with a wide variety of cloud services to virtually expand the storage, you can get a 4G version that gives you easy access to the Internet while on the go among many other really cool uses. This one mostly comes down to price. You can get an Android tablet for less than a $100. It's not going to be very fast, and that lack of speed will be felt if try to do much more than browse the web and keep up with emails and Facebook. You can play Candy Crush Saga on it, but for any gaming other than extremely casual, you would need to look elsewhere. And, like that cheap PC, you'll wind up needing to upgrade it quicker. There are certainly good Android tablets available, but they will cost more than $100. The best iPad alternatives will rival the price tag of the iPad, but you can certainly get a good, quality Android. There are a few areas where some Android devices have the lead on the iPad. Some Android tablets support Near-Field Communications (NFC), which allows you to tag a spot in the real world and have your tablet interact with that spot. For example, you can tag your desk and have your tablet automatically play a playlist when it is on your desk. NFC is also used for transferring files, but while the iPad doesn't support NFC, it supports wireless transfers of pictures and files using AirDrop. Android tablets also allow for more customization and have a traditional file system that allows you to plug in SD cards for more storage. By far, the biggest advantage of the iPad is the App Store. Not only are there more apps for the iPad, which adds to the variety of things you can do with your tablet, there are also more apps designed for the tablet's larger screen. More importantly, the App Store has more rigorous testing before apps are allowed on it, which means the likelihood of a malware-infested app slipping past the screening processes is much lower than on Google's Play store. The iPad also makes it easier to keep up with updates, which means your iPad will continue to add new features with operating system updates. Android updates have always struggled to achieve a high install rate because they have tended to roll out on a device-by-device basis rather than globally to all devices that support the update. Google is looking to help out with this, but Apple is still the leader in making it easy to be on the latest-and-greatest version of iOS. The iPad also tends to lead the tablet market. Apple was the first major brand to use a 64-bit chip in a mobile device and to equip their devices with high resolution screens. They've also delivered cool features like a virtual touchpad on the on-screen keyboard, drag-and-drop from one app to the next and some really useful multitasking features. While Android certainly has its perks, it also tends to follow where the iPad has already gone. The verdict here isn't quite as easy as with laptops, but we can boil it down to a couple of questions. Android tablets excel at two things: cheap tablets with basic functionality and customization. If you are the type that likes to tinker with your technology, Android may be the way to go. If all you will ever need is the ability to update Facebook and browse the web, a cheaper Android tablet might be best. But if you need a tablet capable of more than just browsing the web and doing email and you want a tablet that "just works", you need an iPad. When it comes down to "need", the hardest evaluation comes down to whether or not you need an iPad if you already have an iPhone. In many respects, the iPad is simply a really big iPhone that can't place traditional phone calls. It runs most of the same apps. And while the iPad has some specialized features like the ability to run two apps side-by-side, does anyone really want to run two apps at the same time on their phone's small screen? But while it is fair to say the iPad is an iPhone with a bigger screen, it's also fair to say the iPhone is just a really, really small iPad. After all, we don't seek out smaller television sets. We don't love a smaller monitor for our desktop PC, and the only reason we like a smaller screen on our laptop is to approach the portability we have with our tablet. And what do we tend to do with our smartphones? Other than playing some pretty cool games, we mostly just check email, place text messages, browse Facebook and other fairly basic tasks. A few of us may venture into the world of Microsoft Excel and Word on our smartphone, but I don't think anyone would suggest the iPhone is actually better at any of those tasks. 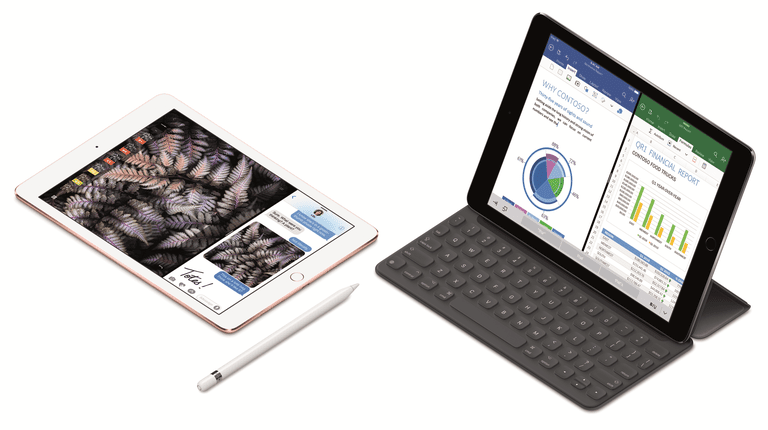 Other than placing phone calls, the iPad may be better at almost everything than the iPhone. The real issue here is that we really do need a smartphone. You might be able to place phone calls with an iPad, and if you hook up a Bluetooth headset, its not even that hard to talk on it. But unless the person trying to call you is on an iPhone, you aren't going to receive many calls. But do you need the latest-and-greatest most expensive smartphone? A smartphone can cost up to $1000 these days depending on the features, but if you mainly use it for actual phone calls, text messages and light Facebook browsing, you can save quite a bit by getting a cheaper model or simply not upgrading every two years. In the past, we bought smartphones with a two-year contract that hid the actual price of the phone. Sure, we'd shell out $199 for the latest smartphone, but that was a much easier prospect than paying the full price. This has changed in a subtle but powerful way. Now, we pay for the phone via monthly installments. We might shell out the same $199, but we are also also paying an extra $25 a month on our phone bill that we could be saving instead. So instead of getting a new phone every two years, it is more cost-efficient to keep it around for three years, four years or even longer. In fact, if you mainly just use the iPhone as a phone, for text messages, to check email and Facebook and as a surrogate GPS, it may make much more sense in today's world to let your iPhone lag behind and upgrade to a new iPad every two years. You'll be getting a more powerful and more useful device for less cost. Let's face it, none of us actually needs an iPad. Most of us would be able to survive -- albeit with quite a struggle -- even if we only had an older model smartphone. But if you aren't tied to Windows because of a specific piece of software, the iPad can make a great alternative to a laptop. It's more portable, has more features packed into it than the standard laptop, supports adding a wireless keyboard for those who don't like typing on a screen and can be cheaper than an average laptop. If you can replace all of it and just use your smartphone, great. This can be a little impractical if you need to use your device for heavy research, writing papers or proposals, using a spreadsheet for someone more demanding than balancing a checkbook, etc. But our smartphones certainly pack enough power to do many of these tasks, it's more a matter of working with that small screen. Most of us will still want some type of larger device, and the iPad has become quite capable in that department.